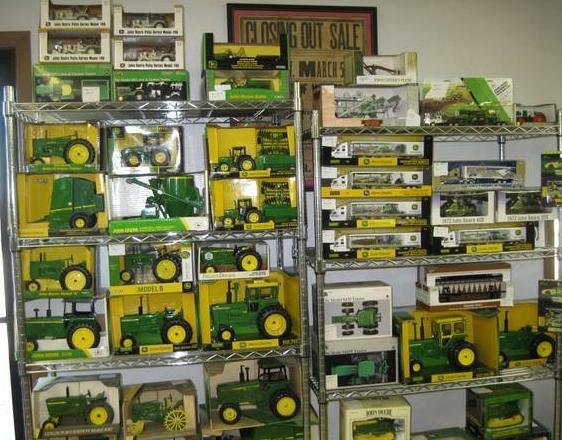 We carry several John Deere toys as well as a few other brands. We have access to current toys and brands. Along with toys, we carry collectables such as trains, wagons, and dealer exclusive items. If there is something specific you are looking for call or email. For prices and availablilty please call or email. Catalog coming soon!